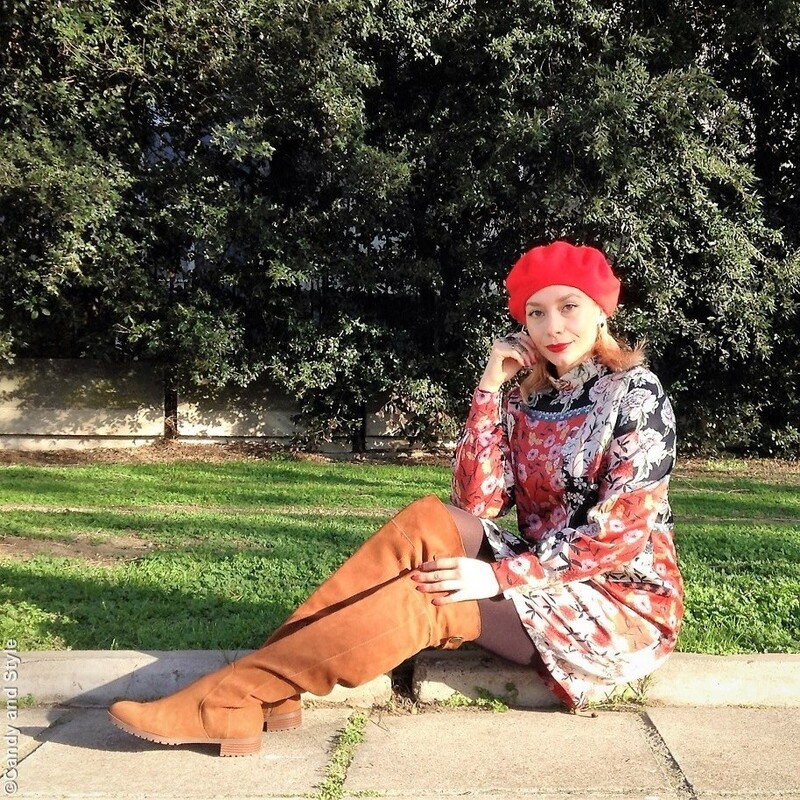 Ci sono due cose che adoro di questo look, quello spelndido vestito e il rosso che a te sta sempre bene! Carinissima Lilli! È vero, il rosso ti dona sempre molto! 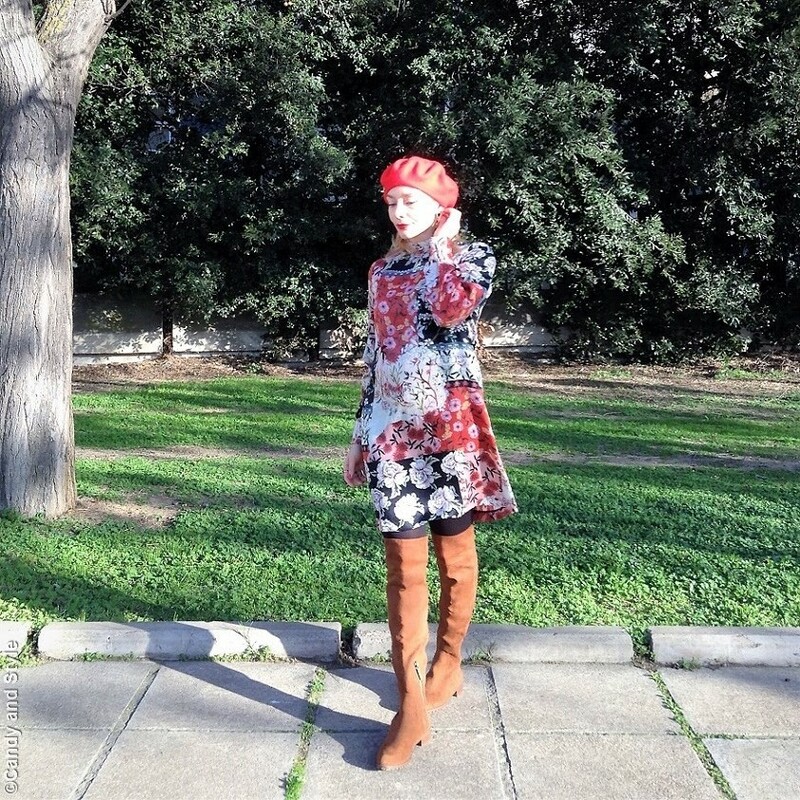 Your flowery dress in vibrant colours definitely add good vibes during this winter. Plus your boots looks so stylish and cozy. Oh Lilli I'm totally getting some spring vibes from this lovely floral frock of yours. You look divine my dear! Bello l'abitino, belli gli stivali, bello il basco... bellissima tu! Hello Miss Flower-Power, you have always good vibes. But i agree with you, flowers a good for the winter-blue. You look cute with this red beret dear Lilli. Such a beautiful print, love the touches of red. 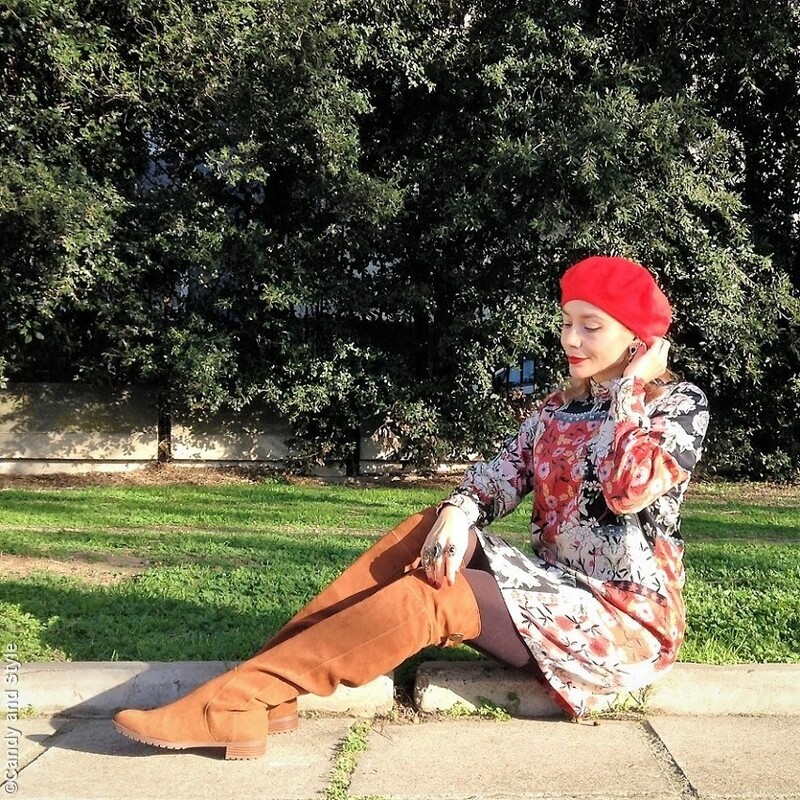 So french style, the beret give a nice touch to your look, beautiful boots and dress! Love it. Beautiful Lilli. 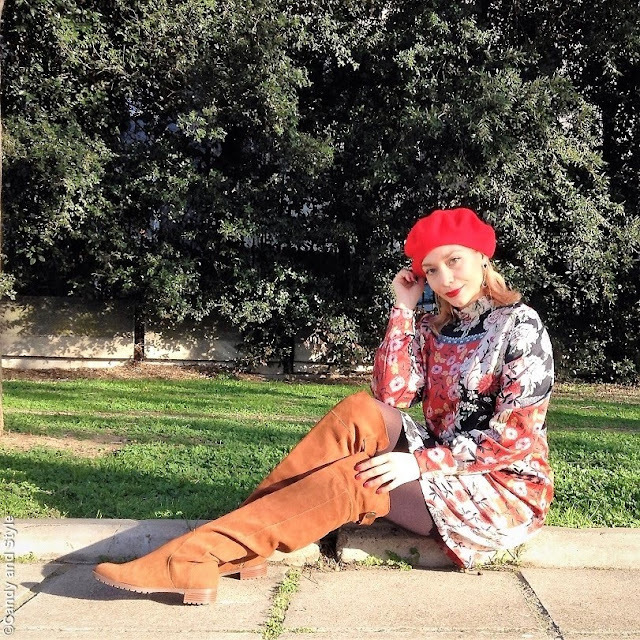 Love that beret with that dress!